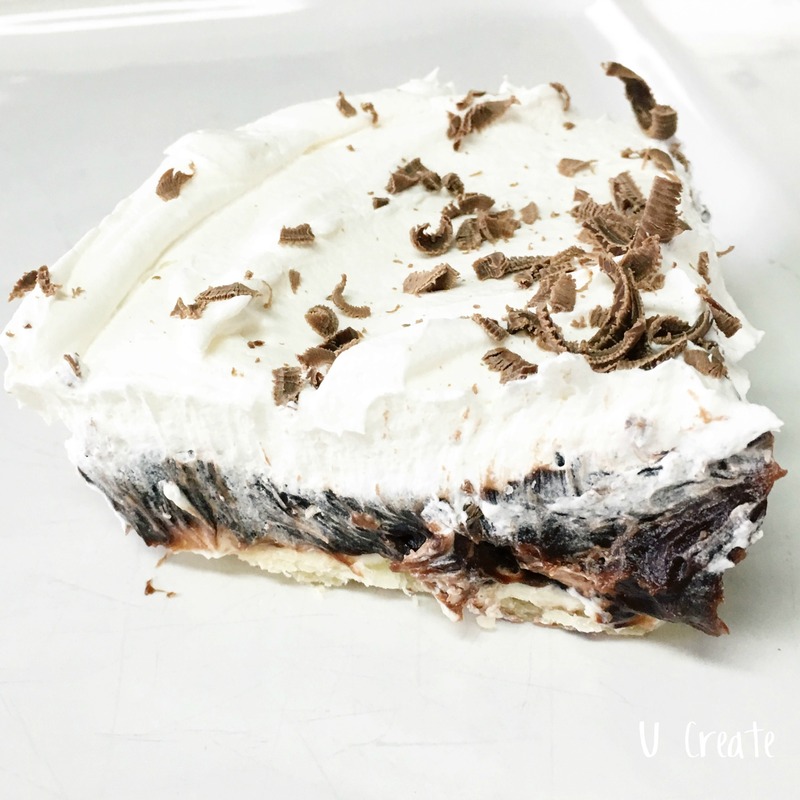 One of the easiest and yummiest desserts you will ever make! Bake pie crust (according to package) in casserole dish pan. I baked mine at 450 degrees for 10 minutes. Let cool. Mix cream cheese, powdered sugar, and 1 cup of Cool Whip together. Spread over crust. Mix puddings together with 3 cups of milk and ½ c. of Cool Whip. Spread over cream cheese layer. Spread the rest of the Cool Whip as top layer. Grate the chocolate bar to garnish the top. Chill for at least one hour. Serve.